This show was broadcast May 25, 2010. * As a correspondent for ITN’s News At Ten and the BBC’s Panorama programme (covering wars and conflicts wherever they were taking place in the world). * As a researcher and author. * As a participant at leadership level, working to a Security Council background briefing, in the covert diplomacy of the search for peace. 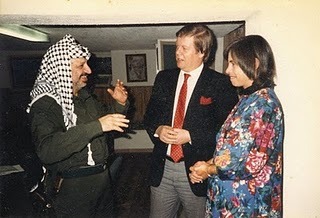 “He’s been to war with the Israelis and the Arabs, but the learning experience he values most, and which he believes gave him rare insight, came from his one-to-one private conversations over the years with many leaders on both sides of the conflict. With, for example, Golda Meir, Mother Israel, and Yasser Arafat, Father Palestine. The significance of these private conversations was that they enabled him to be aware of the truth of what leaders really believed and feared as opposed to what they said in public for propaganda and myth-sustaining purposes. “It was because of his special relationships with leaders on both sides that, in 1980, he found himself sucked into the covert diplomacy of conflict resolution…” more here. 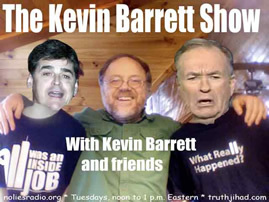 This entry was posted on Tuesday, May 25th, 2010 at 11:15 am	and is filed under 9/11, Anti-War, False Flag/Fake Terror, Justice, Kevin Barrett, News, Occupation, Protest. You can follow any responses to this entry through the RSS 2.0 feed.